Yes, folks. After six months of waiting, it is finally here. 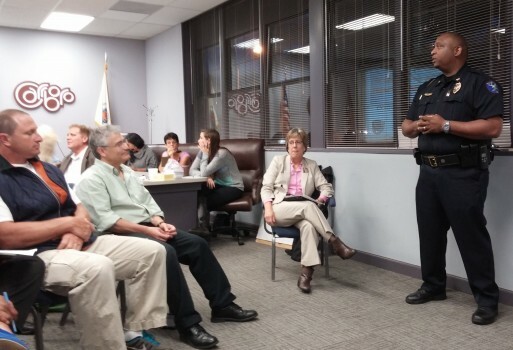 The Second Carrboro, NC Community Forum on Policing, being hosted by the Carrboro Board of Aldermen and Chief of Police, Walter Horton, this coming Monday, at the Carrboro Town Hall, beginning at 7.00pm. I will, at that forum, be proposing that Carrboro adopt the concept of ‘citizen design of policing.’ Ok. By the stages. What is citizen design of policing? Will it work. Who knows? What I do know is that it won’t even get a chance if you don’t turn up. Why Carrboro? Not because it is a hotbed of tension. Precisely because it is not – even if there are some difficulties. Better to implement and test the process in a small, friendly community, so that it can then be available for those larger communities more at risk.